Yesterday on the House floor, Rep. Duncan Hunter (R-CA) angrily attacked those diplomats who have expressed concern about serving in Iraq. Hunter said he had personally urged President Bush to fire the diplomats for speaking out: "I’ve recommended to the President today that we do this — that we fire those recalcitrant State Department personnel who say it’s too dangerous for them to go back to Baghdad. They want another assignment — let them leave the service." Hunter said the foreign service officers should be replaced with soldiers who have been wounded in Iraq. “Let’s go down to Walter Reed hospital and Bethesda hospital, and let’s recruit,” he said. Tags: Duncan Hunter, foreign service, Iraq War, State Department To share or post to your site, click on "Post Link". Please mention / link to the ARRA News Service. Thanks! ARRA Comment: We post often about Mike Huckabee because he is an Arkansan. The below article is interesting because the author is an outspoken Christan pastor, writer, and speaker for conservative ideals. In full disclosure, he was a 2004 VP candidate for the Constitution Party. Comments to this post are welcome! Maybe Huckabee supporters as well as others may wish to express their opinions. by Pastor & Dr. Chuck Baldwin: With Christian conservatives trying to scramble to find a Republican presidential candidate they can support, some of them seem to be coalescing around former Arkansas governor, Mike Huckabee. Janet Folger, especially, seems to be trumpeting his candidacy. But is Mike Huckabee someone Christian conservatives should be supporting? Not everyone thinks so.Randy Minton, chairman of the Arkansas chapter of Phyllis Schlafly's national Eagle Forum, said, "We called him a pro-life, pro-gun liberal, when I was in the state legislature and he was governor"
Phyllis Schlafly herself was even more direct.President and Founder of Eagle Forum, Phyllis Schlafly, said this about Governor Huckabee: "He destroyed the conservative movement in Arkansas, and left the Republican Party a shambles." She went on to say, "Yet some of the same evangelicals who sold us on George W. Bush as a 'compassionate conservative' are now trying to sell us on Mike Huckabee." According to an opinion piece written by John Fund in the Wall Street Journal, "Paul Pressler, a former Texas judge who led the conservative Southern Baptist revolt, told me, 'I know of no conservative he [Huckabee] appointed while he headed the Arkansas Baptist Convention.'" . . .
Mike Huckabee is also terrible on immigration. According to Jim Boulet, Jr., executive director of English First, "Rudy Giuliani spent years defending the right of New York City to remain a sanctuary for illegal aliens. Yet Giuliani was a veritable Lou Dobbs Jr. on illegal immigration in comparison to Mike Huckabee." Regarding Huckabee's stance on immigration, Mr. Minton said, "Until of late, he has been an open-borders guy on immigration — amnesty, the whole works. As governor, he wanted to give free college scholarships to all illegals." Minton's assertion is backed up by Daniel Larison at The American Conservative. He said, "Like his fellow presidential candidate [who recently dropped out of the race], Sen. Sam Brownback, Huckabee regards it as his Christian duty to help subvert and liberalize U.S. immigration laws. Together, they embrace the notion that fidelity to the Gospel requires privileging the interests of non-citizens over those of fellow citizens." Ann Coulter agrees: "On illegal immigration, Huckabee makes George Bush sound like Rep. Tom Tancredo (R-CO). Huckabee has compared illegal aliens to slaves brought here in chains from Africa, saying, 'I think, frankly, the Lord is giving us a second chance to do better than we did before. '"Toward that end, when an Arkansas legislator introduced a bill that would prevent illegal aliens from voting and receiving state benefits, Huckabee denounced the bill, saying it would rile up 'those who are racist and bigots. '"He also made the insane point that companies such as Toyota would not invest in Arkansas if the state didn't allow non-citizens to vote, because it would 'send the message that, essentially, "If you don't look like us, talk like us and speak like us, we don't want you."' . . . Tags: amnesty, Christian Conservative, Chuck Baldwin, Election 2008, illegal immigration, liberal, Mike Huckabee, presidential candidate, Republican To share or post to your site, click on "Post Link". Please mention / link to the ARRA News Service. Thanks! McDaniel approves language of lottery ballot initiative - The Battle Begins Again! by Jason Wiest, Arkansas News Bureau: The language of Lt. Gov. Bill Halter's proposed constitutional amendment to create a state-run lottery to fund college scholarships received Attorney General Dustin McDaniel's approval Thursday. The attorney general's certification of the popular name and ballot title of the lottery proposal clears the way for supporters to begin gathering the 78,000 signatures needed to place the measure on the 2008 general election ballot. . . . The definition of a lottery in the second version was satisfactory, but still questionable, McDaniel said. "I should point out, however, an argument exists that the term 'state lotteries' in the ballot title is unclear, and that the title is incomplete for failing to reveal the amendment's full effect," McDaniel wrote in an opinion issued by his office. "Nevertheless, because the text of the amendment contains no specifics as to the term 'state lotteries,' no corresponding summary can be substituted in the ballot title." 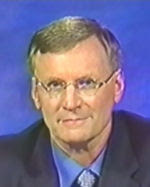 Tags: Arkansas, Bill Halter, gambling, lottery To share or post to your site, click on "Post Link". Please mention / link to the ARRA News Service. Thanks! Tags: Gordon Klingenschmitt, Jesus Christ, prayer, religious freedom To share or post to your site, click on "Post Link". Please mention / link to the ARRA News Service. Thanks! Tags: John Stossel, school vouchers, Utah To share or post to your site, click on "Post Link". Please mention / link to the ARRA News Service. Thanks! Tags: atheism, Christianity, Fox News, Golden Compass To share or post to your site, click on "Post Link". Please mention / link to the ARRA News Service. Thanks! Air Force Times: General Paul Tibbets, who piloted the B-29 bomber Enola Gay that dropped the atomic bomb on Hiroshima, Japan, died Thursday. He was 92 and insisted for six decades after the war that he had no regrets about the mission and slept just fine at night. Tibbets died at his Columbus home. He suffered from a variety of health problems and was in decline for two months. Tibbets had requested no funeral and no headstone, fearing it would provide his detractors with a place to protest, said Gerry Newhouse, a longtime friend. Tibbets’ historic mission in the plane named for his mother marked the beginning of the end of World War II and eliminated the need for what military planners feared would have been an extraordinarily bloody invasion of Japan. It was the first use of a nuclear weapon in wartime. The plane and its crew of 14 dropped the 5-ton “Little Boy” bomb on the morning of Aug. 6, 1945. . . . Three days later, the U.S. dropped a second nuclear bomb on Nagasaki, Japan . . . Tibbets did not fly in that mission. The Japanese surrendered a few days later, ending the war . . .
Paul Warfield Tibbets Jr. was born Feb. 23, 1915, in Quincy, Ill., and spent most of his boyhood in Miami. He was a student at the University of Cincinnati’s medical school when he decided to withdraw in 1937 to enlist in the Army Air Corps. 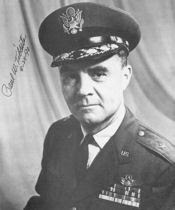 Tibbets retired from the Air Force as a brigadier general in 1966. He later moved to Columbus, where he ran an air service until he retired in 1985. The National Aviation Hall of Fame in Dayton plans a photographic tribute to Tibbets, who was inducted in 1996. “There are few in the history of mankind that have been called to figuratively carry as much weight on their shoulders as Paul Tibbets,” director Ron Kaplan said in a statement. “Even fewer were able to do so with a sense of honor and duty to their countrymen as did Paul.” . . . Tibbets is survived by his wife, Andrea, and three sons — Paul, Gene and James — as well as a number of grandchildren and great-grandchildren. To quote Debbie Schlussel, "One of America's Greatest Gone: Heroic Enola Gay Pilot Paul Tibbets Saved America": Retired Brigadier General Paul Tibbets, Jr.--the heroic American serviceman who did to Hiroshima what we should have already done to Tehran . . . He saved the Western world and his life had meaning for all of us, even though most do not know his name. And he wasn't just the pilot--he basically planned the whole mission. And he flew some of the first bombing missions against the Nazis and their allies. He was bright and had just the right amount of bravado to save America. Sadly, in later life, the State Department treated him with dishonor when India criticized his role in saving the world from Axis forces. And the military apologized to the Japanese after Tibbets re-enacted his important flight. He had it right on America's schools and distorted history: The new wave of controversy about Hiroshima "got me roused up," Tibbets told the Palm Beach Post in 2001. "Our young people don't know anything about what happened because nobody taught them and now their minds are being filled up with things that aren't true." But even after death, he's got the last laugh. Because he did not want to give left-wing anti-war protestors any opportunities to use his death for their cause, he will have no funeral or headstone and his ashes will be scattered over the North Atlantic. There is an inspiring, extensive set of excerpts from the fantastic obit/article about this great American in the Los Angeles Times. The first three sentences say it all, and I wish we would heed it about Iran (and perhaps some of the other choice Muslim countries in the Mid-East). We need another Truman in the White House and another Paul Tibbets leading the attack. . . .
For Tibbets, the pilot whose bombing run unleashed the devastating explosive force and insidious nuclear radiation that leveled two-thirds of the city and killed at least 80,000 people, there was never any need to apologize. "I never lost a night's sleep over it," Tibbets said of the Aug. 6, 1945, attack. To quote Andy Martin: THANK HEAVEN FOR GENERAL PAUL TIBBETS, WHO DROPPED THE BOMB ON HIROSHIMA. HE SAVED MY FATHER'S LIFE AND MY UNCLE'S. A SON OF ILLINOIS FLIES STRAIGHT INTO THE HANDS OF GOD . . . More than half a century later, we tend to see World War II, and war itself, in soft, sepia tones. Some people question whether bombing Japan was necessary. Pacifists condemn the United States for doing so. I do not. Bombing Japan was absolutely necessary. Japan would have never surrendered. The U. S. Marine battles of Okinawa and Iwo Jima had presented graphic evidence of the bloody conflict that lay ahead. Thousands of Marines died subduing tiny islands. . . . General Tibbets saved my father's life, and my uncle's life, and the lives of hundreds of thousands of other American fathers and uncles, not to say countless of hundreds of thousands of Chinese, Koreans and others who risked savagery and death at the hands of Dai Nippon if WW II had continued. Well done, General. And Thank You. From Senate sources: Sen. Mitch McConnell has an op-ed in the Louisville Courier-Journal today calling for permanent repeal of the alternative minimum tax, without raising other taxes in the process. Unfortunately, a new House bill to prevent millions more Americans being subject to the AMT in the coming year is full of new tax hikes as well, according to CQ Today. Following the lead of their presidential candidates, Democrat senators continue to attack Judge Mukasey over his refusal to rule waterboarding illegal without access to any of the classified documentation on the subject. The Wall Street Journal takes Democrats to task for this today, writing, “This is remarkable not for what it says about Judge Mukasey but for what it reveals about Democrats and the war on terror. They’d disqualify a man of impeccable judicial temperament and credentials merely because he’s willing to give U.S. interrogators the benefit of the legal doubt before he has top-secret clearance.” Commendably, Sen. Joe Lieberman defended Judge Mukasey on the Senate floor yesterday, urging his confirmation. On The Floor: The Senate reconvened at 10 AM today and will be in morning business all day. No roll call votes are expected until Tuesday. - Yesterday, the Senate passed a revised SCHIP bill (H.R. 3963), 64-30. Talks on a third, possible compromise version of SCHIP are ongoing. - Next week, the Senate is likely to take up the $283 billion farm bill (H.R. 2419). Senate Majority Leader Harry Reid has said he would like to finish the bill in a week but didn’t think work would be able to be completed that quickly. - The Senate could also take up the conference report on the Labor-HHS-Education appropriations bill (H.R. 3043), which now includes the Military Construction-VA appropriations bill (H.R. 2642). Republican Senators have called for a stand-alone VA funding bill to be sent to the president, who has threatened to veto the combination bill. Tags: conference report, Labor-HHS-Education, appropriations bill, Military Construction-VA appropriations bill, alternative minimum tax, AMT, US Congress, US House, US Senate, Washington D.C. To share or post to your site, click on "Post Link". Please mention / link to the ARRA News Service. Thanks! ALERT - Fight this treaty! Scuttle LOST! The Senate Foreign Relations Committee just voted to surrender United States Sovereignty to the third world and the corrupt United Nations! 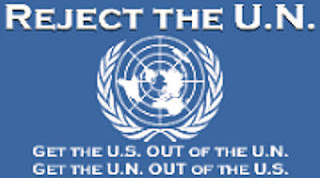 Who would have thought that Members of the U.S. Senate would so willingly hand over a huge portion of America's God-given freedoms to the United Nations. Of course, the issue is the Law of the Sea Treaty (LOST)! LOST would give the Seabed Authority -- a United Nations agency -- Complete Control of Over 70% of the Earth's Surface and Natural Resources! But there is some hope! Senators like Jim DeMint, David Vitter, Mitch McConnell, Trent Lott, Jon Kyl and Daniel Inhofe started fighting LOST tooth and nail. Even presidential candidates Fred Thompson, Rudy Giuliani, John McCain and Mike Huckabee have since spoken out against LOST! With this movement to ratify LOST is out in the open and gathering steam; we can defeat it! But we need to make one final push now because the Senate can vote on LOST at almost any time! We only need the support of 34 Senators to scuttle LOST and many of them are already starting to listen. Tell them that, since Senate ratification of a treaty makes it U.S. law, passage of the Law of the Sea Treaty (LOST) will surrender our sovereignty to an organization controlled by third-world despots, dictators and international pirates whose motto is "Destroy America!" Why should we surrender rights currently reserved to the federal government and to the states? Contact your senators! In fact Contact Several! Capitol Switchboard: (202)-224-3121 See also: Tell Your Senator to vote NO on the Law of the Sea Treaty!! President Ronald Reagan opposed the treaty because it would erode U.S. sovereignty. Read more about that here: Another U.N. Power Grab by William P. Clark and Edwin Meese. Tags: American sovereignty, Law of the Sea Treaty, UN, LOST To share or post to your site, click on "Post Link". Please mention / link to the ARRA News Service. Thanks! Bill Smith, ARRA Editor: Are you looking for the solution to the Rep. John "Jack," Murtha D-PA-12th District, age 75, one of the most inept controversial figures in the US House. Murtha has been an embarrassment even to his own political party. Murtha serves on the House Committee on Appropriations and Subcommittee on Defense, Chair. The current House has set a record for worst performance in getting our the necessary bills to fund government operations. As of today, Congress has not sent one spending bill to the president’s desk, something that hasn’t taken this long in 20 years. Murtha is considered the "king of pork." He uses earmarks to gain influence while ripping-off the dollars of Amreican taxpayers. In early August 2007, it was revealed that Rep. Murtha, Chairman of the House Appropriations Subcommittee on Defense, secured the most earmarked money in the FY2008 Defense Appropriations bill - 48 earmarks totaling $150.5 million. Murtha is known as the "dealer of earmarks," trading earmarks for votes on bills. On the floor of the House he occupies a corner, known as the "Murtha corner", where minority Democrats come to ask for earmarks and majority Republicans come to ask for votes for their legislation. Those who vote with Murtha have been rewarded with a large supply of earmarks for their districts. In 1980, Murtha was named as an unindicted co-conspirator in the Abscam bribery scandal. "Murtha was not indicted in the bribes-for-political-favors probe but his raunchy language and open-ended option to consider a future deal with undercover FBI agents is forever captured on videotape. Murtha signs of losing his mental faculties has appeared when he addresses the military. Murtha in the past suggested that "We don't have to be right there [in Iraq]," Murtha said in June, in an appearance on NBC's Meet the Press. "We can go to Okinawa... our fighters can fly from Okinawa very quickly." He obviously did not know where Okinawa is located. Okinawa is in the Pacific Ocean. We are not going to fly from Okinawa to Iraq "very quickly" let alone being able to do so with any effect on Iran. First we would have to cross China or cross Indonesia and then India, Pakistan, etc. Later Murtha, a former Marine, based upon no evidence at all, falsely accused Marines claiming they had “killed innocent civilians in cold blood” and “I know there was a cover-up someplace!” Neither of these statements has proven to be true. In fact the question remains, was the Haditha Massacre: Media and Terrorist Hoax? Also note the story: The Dishonorable John "Jack" Murtha! We could go on but we are looking for the solutions to John "Jack" Murtha. Pennsylvania District 12 now has an a real option to Murtha in the person of Republican William Russell who has announced as a candidate for Murtha seat in the next election. 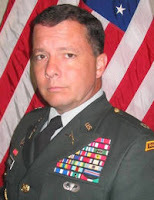 At the end of August, Lieutenant Colonel Russell, US Army, stepped down from his Pentagon position to run for office. Russell served six tours in hostile fire zones including Desert Storm, Operation Iraqi Freedom, and the Balkans. These tours include almost three years in the Middle East (Iraq and Saudi Arabia) and a year and a half in the Balkans (Hungary, Bosnia, Kosovo, Croatia). Russell and his wife, Kasia, were in the Pentagon when a hijacked jetliner crashed into the building on Sept. 11, 2001. They escaped unharmed. He understands that United States is now engaged in a great political battle to determine whether this nation, founded in liberty and dedicated to the proposition that all men are created equal, can maintain the political resolve in its fight against a totalitarian political system, cloaked in religion, which is dedicated to the destruction of our liberty. How bad do you want to see Jack Murtha retire? Read William Russell's "Decision to Run." Many of you will feel the same and may wish to assist him! We wish William Russell the best in "Turning the Tide and Setting a New Course for the Nation and the 12th District." Tags: John Murtha, Pennsylvania, US Congress, US House, William Russell To share or post to your site, click on "Post Link". Please mention / link to the ARRA News Service. Thanks! Critics charge he established 'magnet' for illegals financed by citizens, U.S. businesses by Jerome R. Corsi: A lingering controversy over the role former Arkansas Gov. Mike Huckabee played in establishing a Mexican consulate office in Little Rock financed by taxpayers and local businesses continues to follow the Republican presidential candidate's campaign, even as he enjoys a surge in polls. Critics in Arkansas contend Huckabee worked with some of the state's most prominent and politically powerful businesses to draw illegal immigrants to the state to accept low-paying jobs. Huckabee strongly denied the charges . . .
One of Huckabee's Arkansas critics, long-time border-security activist Joe McCutchen, told WND that Freedom of Information Act documents he obtained show unusual business practices and possible improprieties in a 2006 Huckabee decision to attract a Mexican consulate to Little Rock. . . . "Huckabee is an open borders multi-culturalist who put the will and needs of Arkansas corporations before the needs of Arkansas citizens and taxpayers," McCutchen charged. . . . McCutchen's accusations trace back to an Oct. 3, 2003, trip Huckabee, as governor, took with economic development adviser Robert Trevino in a state airplane to visit with Mexico's president at the time, Vicente Fox. During the trip, Huckabee and Trevino explored with Fox the possibility of establishing a Mexican consulate in Little Rock. Trevino . . . district president of the League of United Latin American Citizens, LULAC, an activist group strongly advocating for rights of Hispanic immigrants in the U.S. In 2004, he was appointed [by Huckabee] commissioner of Arkansas Rehabilitation Services, the state agency that subleased the space for the Mexican consulate. . . . Prominent Arkansas journalists in background briefings . . . painted a different picture, arguing Huckabee put out a subtle, but clear message to illegal immigrants from Mexico, "We wish you no ill in Arkansas. You are welcome to come here to live and to work." Huckabee's message was not hard to understand, an Arkansas source explained. "Arkansas has a lot of low-skilled jobs, including a lot of chicken slaughter houses, and the employers wanted low-pay workers," the source said. McCutchen put it more bluntly. "When he was governor of Arkansas, Huckabee ran what amounted to a sanctuary state. . . Huckabee's real goal was to create the Mexican consulate as a magnet to bring illegal alien workers into the state. . . to benefit companies like Tyson Foods, Wal-Mart, OK Foods, Simmons Foods, George's Farms, Inc. and a host of smaller operations who wanted to employ the illegals for their cheap labor." Border-security activist Kenny John Wallis, who runs the Arkansas blog Keep Arkansas Legal, agrees with McCutchen. "Huckabee wanted to attract the illegal immigrants for the employers in the state like Tysons Foods that wanted cheap labor. . . In a nutshell, Huckabee went to Mexico a little over three years ago to create a Mexican consulate," Wallis said. "He then had his deputy Bob Trevino work out a deal where the Mexican Consulate was allowed office space at the Arkansas Rehabilitation Center for $1 a year. The Mexican Consulate also had mobile consulates where Mexican officials in vans went across the state helping illegal immigrants stay and work in the state." Huckabee denied that his goal was to attract illegal alien workers to Arkansas. . . . Still, in May, the Arkansas Democrat-Gazette reported federal immigration agents arrested 21 illegal aliens during a raid on an Arkansas Mexican restaurant chain. That followed federal immigration operations two weeks earlier that arrested more than 100 illegal aliens working at a George's Farms poultry processing plant in Butterfield, Mo., just north of the Arkansas state line in Barry County, Mo. Earlier this month, seven employees of George's Farms in Missouri were arrested on federal charges of hiring illegal immigrants at the processing plant in Barry County. George's Farms is headquartered in Springdale, Ark. . . .
Huckabee faced criticism as governor for supporting pre-natal care for pregnant illegal immigrants and a proposal to allow illegal aliens who graduate from Arkansas high schools to apply for state college scholarships. . . . In 2005, Huckabee called un-Christian, un-American and irresponsible a bill introduced by state Sen. Jim Holt that would have denied state benefits to illegal immigrants and would have required valid proof of citizenship to register to vote. . . . In June 2005, addressing the 76th annual LULAC convention in Little Rock as keynote speaker, Huckabee told the 10,000 political, community and business leaders in attendance, "Pretty soon, Southern white guys like me may be in the minority." Huckabee told LULAC that having their 2005 annual convention in Little Rock was important, because Arkansas had one of the fastest growing populations in the nation, and "Arkansas needs to make the transition from a traditional Southern state to one that recognizes and cherishes diversity 'in culture, in language and in population.'" McCutchen acknowledged Huckabee declares on his website that he now calls for closing the borders. "But that's 180 degrees from what he did as governor of Arkansas," McCutchen said. "Huckabee will say anything that he thinks is acceptable. He is a dangerous man." McCutchen agrees with Eagle Forum President Phyllis Schlafly's view of Huckabee, cited last week by John Fund of the Wall Street Journal. Schlafly said Huckabee has "destroyed the conservative movement in Arkansas, and left the Republican Party a shambles. Yet some of the same evangelicals who sold us on George W. Bush as a 'compassionate conservative' are now trying to sell us on Mike Huckabee." Tags: illegal aliens, Jerome Corsi, Joe McCutchin, LULAC, Mexican consulate, Mike Huckabee, Robert Trevino To share or post to your site, click on "Post Link". Please mention / link to the ARRA News Service. Thanks! From Senate sources: A vote has finally been scheduled in the Judiciary Committee on the nomination of Judge Michael Mukasey to be attorney general. Despite earlier praise for Mukasey from Democrats, some are now joining the rush of Democrat presidential candidates to oppose his nomination. By the time Judge Mukasey gets his vote on Tuesday, his nomination will have been pending for over 40 days, longer than any other attorney general nominee in 20 years. Democrat objections to Mukasey have centered on their desire to get him to declare “that their whims on the tactic of waterboarding are law,” as National Review Online wrote yesterday. Andrew McCarthy looked at Democrats’ views on this subject and noted that they seem to depend on the occupant of the White House at the time. Meanwhile, CQ Today reports Democrats are moving forward with a plan to send a minibus appropriations bill consisting of the bloated Labor-HHS-Education bill and the Defense and Military Construction-Veterans Affairs bills to the president. On The Floor: The Senate reconvenes at 10 AM today. After an hour of morning business, the chamber will then resume consideration of the motion to proceed to the new SCHIP bill (H.R. 3963). President Bush has announced his intention to veto this version of SCHIP as well. Yesterday, the Senate voted 62-33 to invoke cloture on the motion to proceed to the SCHIP bill. A vote on approving the motion to proceed to the bill could come as late as 1 AM tonight. Next week, the Senate is likely to take up the $283 billion farm bill. Reid said he expects to spend a week on the bill, but it’s possible it could take longer than that. Tags: Judge Michael Mukasey, SCHIP, Defense and Military Construction-Veterans Affairs bill,US Congress, US House, US Senate, Washington D.C. To share or post to your site, click on "Post Link". Please mention / link to the ARRA News Service. Thanks! ARRA note: Sen . Blanche Lincoln added pork earmark to Labor-HHS Bill - $1 million in taxpayer funding for the [Bill] Clinton School of Public Service in Little Rock, Arkansas. “The Majority is attempting to use our troops and veterans to win passage of a pork-laden Labor-HHS spending bill. They are once again attempting to pass pork-barrel spending on the backs of our troops and veterans, just as they did last spring in the fight over the supplemental spending bill. Our soldiers and veterans deserve better, and House Republicans will oppose any effort to combine these three spending bills into one omnibus loaded up with billions in pork-barrel spending. The President has already said he will veto the bill, so continuing on this course is little more than a calculated political strategy that is doomed to failure. · $1.5 million in taxpayer funding requested by Sen. Tom Harkin (D-IA), a top recipient of special-interest campaign cash from labor unions, for the AFL-CIO’s “Working for America Institute” – an initiative that has been deemed wasteful and duplicative by government watchdogs. Nearly two-thirds of the $1.5 million requested would go to AFL-CIO staff salaries. · $3.6 million in taxpayer funding for construction of (yet another) pork-barrel facility for Sen. Robert Byrd (D-WV) – in this case, a three-story, 26,000 square foot building on a local college campus. · $1 million in taxpayer funding requested by Sen. Blanche Lincoln (D-AK) for the [Bill] Clinton School of Public Service in Little Rock, Arkansas. · $100,000 requested by Rep. Patrick Kennedy (D-RI) for “development of a Portuguese and Lusophone Studies Program” at Rhode Island College. · $250,000 requested by Speaker Nancy Pelosi (D-CA) – who last year told the Wall Street Journal she would consider eliminating all earmarks if elected Speaker – for a project known as the “Exploratorium” in San Francisco, CA. The bill also increases funding for government bureaucrats at the U.S. Department of Education who make an average of $95,282 annually, but under-funds by $100 million the one program in the bill designed to actually help quality teachers, who earn an average annual salary of $47,602. Why? The Teacher Incentive Program is opposed by special-interest labor organizations such as the National Education Association (NEA), which opposes giving extra pay to teachers who demonstrate excellence in the classroom. Last week, House Republicans called for three votes (on October 23, 24, and 25) to force Speaker of the House Nancy Pelosi (D-CA) to name House conferees and complete work on the veterans and troops funding measure. Democrats turned back Republicans on each of three votes and have refused to name conferees on the bill. Today, the Majority is poised to take the next step in their strategy to pile billions in pork onto the backs of our men and women in uniform. Will rank-and-file Democrats follow their leadership down this cynical road, or will they join Republicans in supporting a clean veterans and troops funding bill? by Kerby Anderson, Point of View: Today is October 31st. Most people know it as "Halloween" but it also has long been known as The Festival of the Dead. The Celtic tribes and their priests, the Druids, celebrated this day as a marker for the change from life to death. November 1 was the beginning of the New Year, so Halloween or "Samhain," was like New Year's Eve. It was both a time of death and new beginnings. The young would wander the countryside disguised in scary masks, carrying turnips carved into scary jack-o'-lanterns to frighten off ghosts and goblins. They believed that the veil between the living and the dead was believed to be the thinnest at this time, and therefore one could most readily communicate with loved ones in spirit. 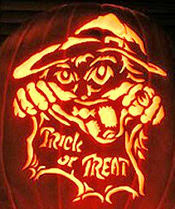 Witches also celebrate Halloween as the "Feast of Samhain" which is the first feast of the witchcraft year. Being a festival of the dead, Halloween is a time when witches attempt to communicate with the dead through various forms of divination. Contrast this with God's command against divination in Deuteronomy 18. The term Halloween is shortened from All-hallow-even, as it is the evening before "All Hallows' Day" also known as "All Saints' Day." Pope Gregory moved the day from May 13 to November 1. This made Halloween the eve of this celebration. November 1 became "All Hallow Mass," and October 31, became "All Hallow's Even." 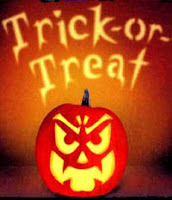 Tags: Halloween, Kerby Anderson, Point of View To share or post to your site, click on "Post Link". Please mention / link to the ARRA News Service. Thanks! by Tony Perkins, FRC Washindton Update: Until last year, the Indiana statehouse opened every session in prayer, a tradition that's been a part of the assembly's proceedings for nearly 190 years. Yesterday, a 7th Circuit Court of Appeals panel, persuaded by the Liberty Counsel, reinstated that practice. By a vote of 2-1, the judges dismissed the suit brought by a group of taxpayers, which, the court said, "lacked the legal standing to bring the case" in the first place. 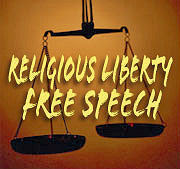 FRC and the Alliance Defense Fund teamed up to submit a brief in the case, which argued that prohibiting the prayers was an unconstitutional constraint of religion. Meanwhile, ADF had its hands full in Kentucky, representing Timothy Morrison, a student who was forced to participate in school-sponsored "diversity training." Because the program also included a video that "instructed students to suppress Christian perspectives" on homosexuality, Morrison sued--and won. The 6th Circuit Court of Appeals ruled that silencing students because of their personal beliefs is a clear violation of free speech. Tags: 6th Circuit Court of Appeals, 7th Circuit Court of Appeals, Family Research Council, FRC, free speech, religous freedom, Tony Perkins To share or post to your site, click on "Post Link". Please mention / link to the ARRA News Service. Thanks! Tags: Colorado, Election 2008, GOP, presidential candidate, Representative, Tom Tancredo, US Congress To share or post to your site, click on "Post Link". Please mention / link to the ARRA News Service. Thanks! The Heritage Foundation: According to media reports, Democrat Leadership and several Republicans in the Senate are attempting to peel off enough Republican no-votes on the State Childrens Health Insurance Program (SCHIP) to override President Bush's veto. With enough "tweaks" to the bill they believe they can satisfy the needed number to sucessfully override the veto. It appears Congress isn't seeing the big picture. Here it is in plain English: We’re at the tipping point. Almost half of America’s children--45 percent already have their health care paid for by taxpayers. The vetoed children’s health bill (SCHIP) would boost this to 55 percent. Once the teeter - totter tips to the other side, there's no turning back. The end result: 100 percent of America's children receiving health care from the government. A Halloween Trick? Small changes to the SCHIP bill don't make it any less scary for America's kids. - It will still take middle-class kids off private insurance and put them on government health care - complete with rationing, shortages and long waits. - It will still need 22 million new smokers to fund health coverage for America's children. - It will still allow states to leave behind the neediest children in order to cover kids from middle-class families. - It will still cover adults rather than poor kids. Tags: Halloween, Heritage Foundation, SCHIP To share or post to your site, click on "Post Link". Please mention / link to the ARRA News Service. Thanks! Eagle Forum, The Education Reporter: Each year since 2001, Arizona officials have visited classrooms across the state where students are learning English as a second language. English language learners fare worse on reading, writing and math assessments every year, and these state officials have been trying to find out why. Their visits last year discovered at least one important reason: nine out of 32 districts employed teachers who barely spoke English themselves. In 12 of the districts, some teachers flouted state law and taught their English language learners in Spanish. Officials said that some teachers were almost impossible to understand. Others were comprehensible but mispronounced words and used incorrect grammar and syntax. . . . Last year's visits also uncovered legal violations in whether or how schools provided English instruction to students. Tags: Arizona, English, teachers To share or post to your site, click on "Post Link". Please mention / link to the ARRA News Service. Thanks! by Jennifer Yachnin, Roll Call (Subscription Required to read full article): . . . Democratic leaders acknowledged Tuesday they are reviewing the chamber’s rules to determine how to curb the minority’s ability to put up roadblocks at critical moments in the legislative process. House Rules Chairwoman Louise Slaughter (D) said the committee’s Democrats have begun meeting with both current and former Parliamentarians to discuss the chamber’s rules and potential changes. The New York lawmaker said those discussions have focused in part on the motion to recommit - one of the few procedural items in the minority party’s toolbox that allows them to offer legislative alternatives when a bill hits the floor, and that Republicans have used to force difficult votes on Democrats or prompted legislation to be pulled from the floor — as well as other procedures, which she declined to detail. . . . But one Democratic lawmaker, who asked not to be identified, said the majority is considering neutering the motion-to-recommit process and converting it to little more than a last-chance amendment for the minority party. . . . House Majority Leader Steny Hoyer (D-Md.) railed against Republicans’ use of that particular tactic at his weekly press conference Tuesday, echoing complaints Democrats have raised off-and-on since March. . . . Hoyer said. “We understand that. To some degree, we did that as well. So it is not surprising.” While Hoyer acknowledged that Democrats had at times employed the same approach in the past, he criticized Republicans for using the method 22 times thus far in the 110th Congress, asserting that Democrats used the tactic only four times between 1995 and 1998. . . . Tags: Democrats, US House To share or post to your site, click on "Post Link". Please mention / link to the ARRA News Service. Thanks! From Senate sources: Yesterday, Amtrak reauthorization bill (S. 294) passed (70 · 22) and referred to the House. Senate return to SCHIP today. This version of the bill offers little improvement over the previous version of the bill. The Democrats’ handling of SCHIP is yet another example of their mismanagement of Congress. They spent months crafting a bill they knew the president would veto. Once that veto occurred, instead of trying to work out a compromise, Democrats spent two weeks running ads against Republicans before even holding a vote to override the veto which failed. Democrats then put together a hasty revision, which actually lost support in the House and are now trying to move it through the Senate, even though President Bush has said he will veto it. The "slow-walk" of Judge Mukasey continues. After demanding a new attorney general for months, Democrats got a nominee Sen. Schumer said could be confirmed “very, very quickly.” A number of Democrats have praised Judge Mukasey’s nomination and testimony. On The Floor: The Senate reconvenes at NOON! - Will consider the motion to proceed to the new SCHIP bill (H.R. 3963). Reid filed cloture on the motion to proceed to the bill and a vote is expected on the cloture motion later today. President Bush intends to veto this "version" of SCHIP as well. - Next week, the Senate is may take up the $283 billion farm bill. Reid said he expects to spend a week on the bill, but it’s possible it could take longer than that. Tags: Michael Mukasey, SCHIP, US Congress, US House, US Senate, Washington D.C. To share or post to your site, click on "Post Link". Please mention / link to the ARRA News Service. Thanks! by Mike Soraghan, The Hill: House Speaker Nancy Pelosi (D-CA) is finessing her support of Rep. Charles Rangel’s (D-NY) controversial new tax bill, highlighting Democrats’ concern about how Republicans plan to use it in the 2008 elections. Following the unveiling of arguably the most politically explosive domestic policy bill of the 110th Congress last Thursday, Pelosi seemed to wholeheartedly support the tax overhaul authored by Ways and Means Comm. Chairman Rangel. “I certainly support his plan,” Pelosi said to the assembled reporters. But when the transcript of the briefing came out, words were inserted — highlighted by brackets — clarifying that she supported his goal, if not his specific proposals. The final transcript read: “I certainly support his plan [to begin tax reform. ]” The distinction is an important one . . .
Republicans criticized the change, but irritated Pelosi aides said too much is being made of an innocent change that was not intended to deceive. “It is clear she didn’t say it, but we put in there, in brackets, to clarify her intent,” Pelosi spokesman Nadeam Elshami said in an e-mail exchange. “She personally supports Rangel’s plan/bill to begin tax reform, but Congress will work its will.” Elshami added: “If The Hill feels compelled to report on this ridiculous story, let me then fill in the brackets . . .
What is left unsaid about Congress working its will is Pelosi’s role in altering legislation once it is approved at the committee level. Pelosi this year has significantly changed legislation before it hits the floor, ranging from war supplemental measures to the lobbying reform bill . . . Republicans compared the transcript change to the Soviet-era practice of erasing out-of-favor leaders from Kremlin photos. “You’d expect this from the Politburo, not the U.S. House of Representatives,” said Brian Kennedy, spokesman for House Minority Leader John Boehner (R-OH). 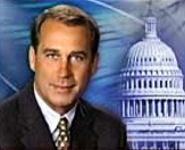 Tags: House Speaker, increased taxes, John Boehner, Nancy Pelosi To share or post to your site, click on "Post Link". Please mention / link to the ARRA News Service. Thanks! 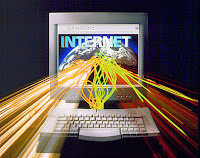 Internet Tax Freedom Act Amendments Act of 2007 - Amends the Internet Tax Freedom Act to: (1) extend until November 1, 2011, the moratorium on state taxation of Internet access and electronic commerce and the exemption from such moratorium for states with previously enacted Internet tax laws (grandfather provisions); (2) restrict the authority of certain states claiming an exemption from the moratorium under the Internet Tax Nondiscrimination Act of 2004 to impose Internet access taxes after November 1, 2007; (3) expand the definition of "Internet access" to include related communication services (e.g., e-mails and instant messaging) and redefine "telecommunications" to include unregulated non-utility telecommunications (e.g., cable service); and (4) allow a specific exception to the moratorium for certain state business taxes enacted between June 20, 2005, and November 1, 2007, that do not tax Internet access. Tags: Internet tax, US Congress, no internet taxes, 7 years To share or post to your site, click on "Post Link". Please mention / link to the ARRA News Service. Thanks! by Dr. Walter E. Williams: Here's the oath of office administered to members of the House and Senate: "I do solemnly swear (or affirm) that I will support and defend the Constitution of the United States against all enemies, foreign or domestic; that I will bear true faith and allegiance to the same; that I take this obligation freely, without any mental reservation or purpose of evasion; and that I will well and faithfully discharge the duties of the office on which I am about to enter. So help me God." A similar oath is sworn to by the president and federal judges. In each new Congress since 1995, Rep. John Shadegg, R-AZ, has introduced the Enumerated Powers Act (HR 1359). The Act, which has yet to be enacted into law, reads: "Each Act of Congress shall contain a concise and definite statement of the constitutional authority relied upon for the enactment of each portion of that Act. The failure to comply with this section shall give rise to a point of order in either House of Congress. The availability of this point of order does not affect any other available relief." Simply put, if enacted, the Enumerated Powers Act would require Congress to specify the basis of authority in the U.S. Constitution for the enactment of laws and other congressional actions. HR 1359 has 28 co-sponsors in the House of Representatives. . . .
James Madison, in explaining the Constitution in Federalist Paper No. 45, said, "The powers delegated by the proposed Constitution to the federal government are few and defined. Those which are to remain in the State governments are numerous and indefinite. The former will be exercised principally on external objects, as war, peace, negotiation, and foreign commerce." . . . Tags: Enumerated Powers Act, James Madison, oath, US Congress, US Constitution, Walter E. Williams To share or post to your site, click on "Post Link". Please mention / link to the ARRA News Service. Thanks! by Matt Margolis, GOP Bloggers: I have to say I was a bit confused after reading this story about an internal Democrat memo that faults their party's message for not winning the hearts of voters. . . . I would argue the opposite. Democrats may be wrong on the issues, but they've got a good handle on rhetoric. For instance, their attacks over the SCHIP veto... They've made their attacks against Republicans a debate about denying health coverage for kids. They try to make the issue over gay marriage an issue about "equality." They've attacked Bush's tax cuts (the same ones that have strengthened our economy and brought unemployment significantly down) as tax cuts for the rich. And somehow, they've managed to keep a huge majority of the African-American vote despite the fact they were the party that opposed civil rights. From Senate sources: Roll Call reports this morning that Democrats are once again re-working their strategy on handling appropriations bills. Their latest plan seems to be to hold money for Defense and Veterans’ Affairs hostage to their social spending priorities by combining the Defense, Military Construction-VA, and Labor-HHS-Education bills into a mini omnibus, or “minibus.” According to CongressDaily, a minibus package would not include bridge funding for troops in Iraq and Afghanistan. Anti-war liberals prevented Democrats from including such funding by threatening to oppose the bill if it included any more money for Iraq. President Bush called out Congressional Democrats today on their historically awful record on spending bills. Not in the last 20 years has it been this long without Congress sending a single appropriations bill to the president. The president vowed he would veto a minibus and called for a clean veterans funding bill by Veterans’ Day. Sen. McConnell also called for clean Defense and veterans bills to be sent to the White House by then in a floor speech this morning. On the Floor: - Senate will resume consideration of the Amtrak reauthorization bill (S. 294) - $11.4 billion for Amtrak over six years, mandate a strategic overhaul of Amtrak, and direct the government to refinance Amtrak’s $3 billion debt. Sen. Trent Lott (R-MS) said he expects work on the bill to be finished today. - Senate Majority Leader Harry Reid vowed this morning to complete work on the House’s new SCHIP bill later this week, yet again threatening a weekend session. Tags: Michael Mukasey, nomination, Judge Michael Mukasey, attorney general, Amtrak reauthorization, US House, US Senate, VA, Washington D.C. To share or post to your site, click on "Post Link". Please mention / link to the ARRA News Service. Thanks! Hat tip to The Influence Pedler Editor for pointing out the following with the Water Resource Development Act. : Congress has sent President Bush a water projects bill which he's promised to veto because it's porked up. This is a little ironic; water projects bills are intended to be all porked up. Even though the veto seems likely to be overridden, this bill is worth noting because of the back-story: The Water Resources Development Act would authorize $23.2 billion for flood control, navigation and environmental restoration projects by the Army Corps of Engineers. The administration has threatened a veto, saying the cost is excessive. White House spokesman Scott Stanzel confirmed that the president still intends to veto the bill. The final version is far more expensive than either the original Senate-passed bill, which authorized around $14 billion, or the House-passed version, which authorized about $15 billion. That's a neat way to do business: the House votes $15 billion; the Senate votes $14 billion. In the normal world, the compromise would be $14.5; in Congress, it's $23. When I worked on Capitol Hill, the general rule for handling earmarks in conference was that all earmarks in dispute were halved. That way conferees didn't have to fiddle around with changing overall spending levels. In this case, it seems that the compromise was to fully fund everything on both House and Senate lists -- and apparently some other items as well. Tags: Congressional Pork, pork-barrel spenders, US Congress To share or post to your site, click on "Post Link". Please mention / link to the ARRA News Service. Thanks! Tags: Arkansas Democrat Gazette, John Edwards, news To share or post to your site, click on "Post Link". Please mention / link to the ARRA News Service. Thanks!